Amazon is a master at lowering the friction of the purchasing process. Unfortunately, it may have lowered the barrier a bit too much with the Kindle Fire, opening customers up to fraud in the process. Among other fun tricks, Amazon is the patent-holder of the ‘One Click’ purchasing button, which it licences to other companies, including Apple. Its Amazon Prime service invites you to buy, because hey, shipping is free! As a master stroke, Amazon even ships its Kindle Fire devices pre-registered to a purchaser’s account. This allows you to whip it out of the box and see your content right away and, of course, make purchases almost seamlessly. 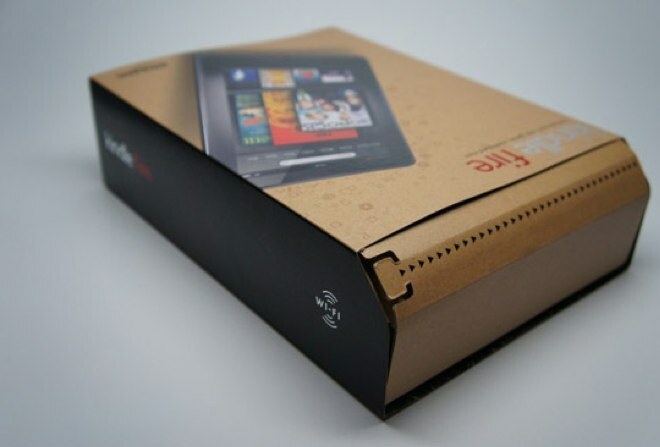 Unfortunately, Amazon also ships the Kindle Fire in a box with the name of the product emblazoned across the sides and top, making it a huge target for thieves either on the doorstep or elsewhere in the delivery process. Now, things get stolen all of the time, especially during the holidays. But having the name of a product stamped on the box doesn’t help its chances of being recognized as valuable and filched. Note that, for customer convenience, no signature is required to deliver a Kindle Fire when standard or Amazon Prime shipping is used. But the issues don’t stop there. Because the Kindle Fire comes pre-registered to the user that purchases it, this also makes them vulnerable to the thief making purchases using the credit card of the recipient, which is tied into the Amazon account pre-loaded on the device. The biggest forehead-slapper? There is no password required to make almost any standard purchase on the device. This gives the thief nearly free reign over the user’s Amazon account until the purchases are noticed by the intended recipient and either the credit card information is removed or the password to the account is changed. There are dozens of reviews of the Kindle Fire on Amazon’s site that reference the fears of this occurring, clearly it’s an issue that people are worried about. I was also able to find several comments from people who actually had their units stolen and had to take action by erasing their payment information to protect themselves. One reviewer even had purchases made on her account by a thief who had stolen the item right out of the box and left the packaging behind. The next morning, I casually checked my email, and was stunned to find 21 separate emails from Amazon thanking me for my order. (Plus one from my bank, warning me of unusual activity on my card.) Amazon was thanking me for ordering almost $300 worth of mp3s from my brand new kindle fire!!! Because she noticed the charges quickly, she was able to open a dialog with Amazon and her credit card company to pursue the issue and begin the process of getting her money back. But this is a loophole that needs to be closed and fast. These issues, combined with the lack of parental controls, or even a ‘password required’ toggle, spell a drastic lack of sense on Amazon’s part and an obtuseness about how the tablet is used in the real world. If you’ve purchased a Kindle Fire, or plan to, then there are a couple of things that you can do to help prevent issues until Amazon gets a grip on the problem. If you’ve already ordered your Kindle Fire and are waiting to get it, de-register it until it gets to you. You can do this from Amazon’s ‘Manage your Kindle’ page. This will prevent anyone from making any purchases if the device goes astray and it is a quick process to re-register it. If you’re getting ready to order a Kindle Fire, there is also a very easy way to prevent any issues ahead of time. Simply check the ‘Gift’ option and the Fire will not be registered to your account. In addition, Amazon ships it in an un-marked box so as not to spoil the surprise. This has the added benefit of not shouting at people people to steal your fancy new tablet for funsies. You should, of course, also do this if you are gifting the Kindle, so that your recipient doesn’t end up with your account info pre-registered. Amazon has said that a software update is coming ‘in the next two weeks’ and that it will address some of these user concerns. This is a good thing, as there are more Kindle Fires being shipped in these couple of weeks than ever before, and all of them open users up to issues that could have been easily prevented.